The rules of golf are the glue that hold the game together. Without them, the sport really would be nothing more than a good walk spoiled. The rules were first codified in Edinburgh, Scotland, and are still followed by golfers the world over. Ebalongolf.com has made learning the basics easy with this handy guide to rules for golf. Every single golfer knows the sinking feeling in the pit of the stomach that comes with swinging a club at the ball with every intention of actually hitting it, and then hearing nothing but the swish of the club through the air. According to the Swing and Miss rule, your missed swing is still a stroke. Incidentally, missed swings can make for some interesting props bets in golf betting. If you are a particularly enthusiastic new player, you may already boast an impressive collection of clubs. As tempting as it may be to try take as many of them along as possible, you can’t. Among the rules of golf is the 14 club rule, which states that golfers can play with 14 clubs at the most. If you try take any more than that, you will need to leave a few in your locker. Unless you are switching to a different ball at the start of a distinct hole, the Play One Ball rule states that you must play one ball only, unless it is rendered no longer fit for play or you lose it. Sorry, but that’s the rules of golf, and you can’t argue with long-dead Scotsmen. According to golf rules, the only time you can touch the ball is when you are on a putting green, and then only to clean it, before putting it back exactly where you found it. Golfers must play the ball as it lies. The rules for golf make allowance for practice swings during holes, but not practice strokes. 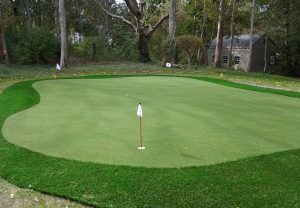 You can, however, practice putting or chipping in between holes near the putting green of the last hole you played, or on the following hole’s tee. Whether the ball lands in a hazard or a sand bunker, but can still be played, the golf rules state that you must not allow your club head to touch the ground, something known as grounding the club. If you do ground your club, you will need to take a penalty stroke. Two of the most important putting green golf rules concern the ball hitting the flagpole or hitting another ball. If this happens when you are on the green, it will result in a two-stroke penalty for you. However, the rules do make allowance if you hit the ball onto the green from an area that is off the green.